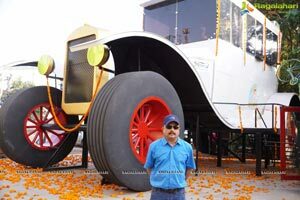 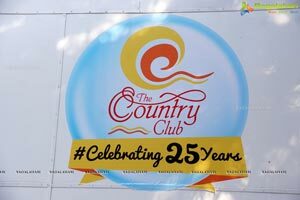 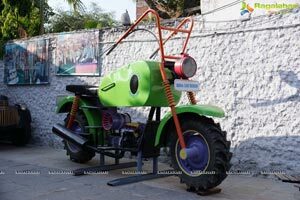 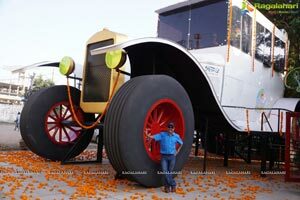 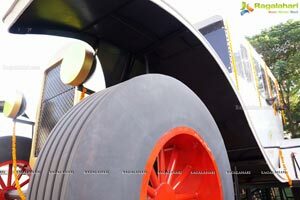 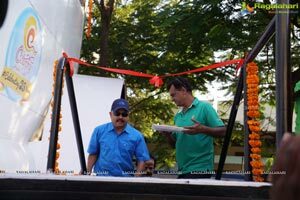 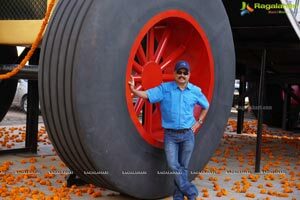 Mr. K. Sudhakar Yadav, Guinness World record holder for “THE LARGEST TRICYCLE” in the World, known for his wacky cars creations, is attempting another Guinness World Record with his new creation “THE LARGEST STATIONARY ART CAR MODEL” in the World. 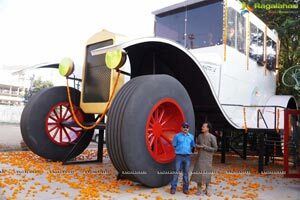 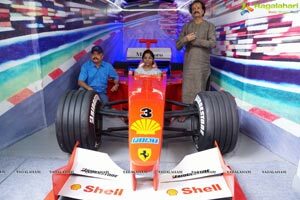 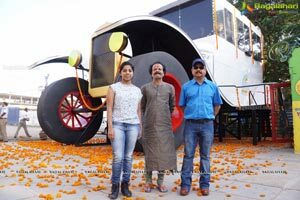 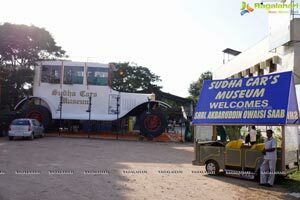 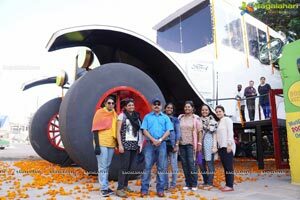 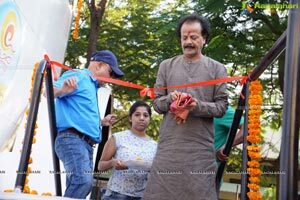 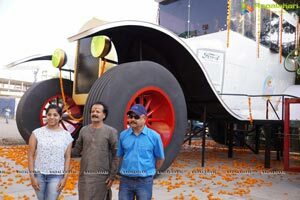 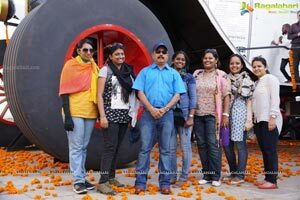 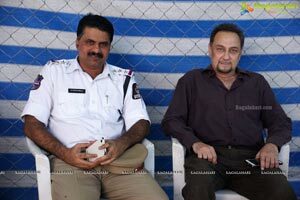 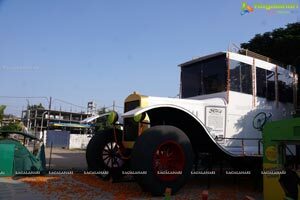 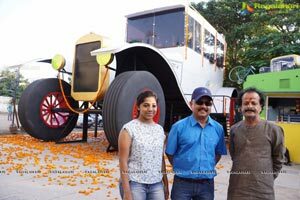 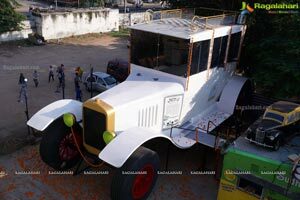 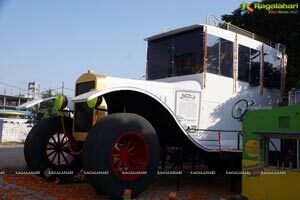 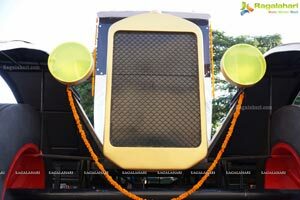 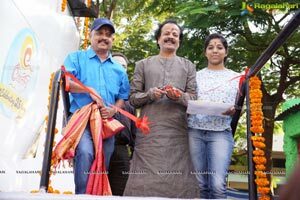 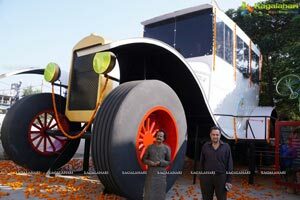 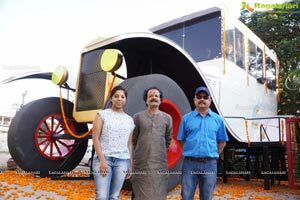 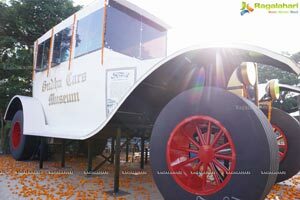 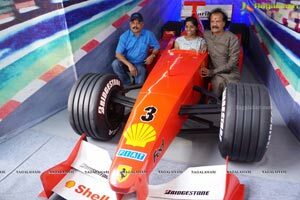 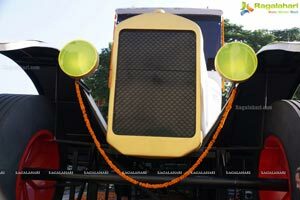 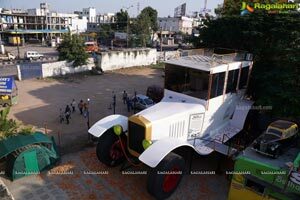 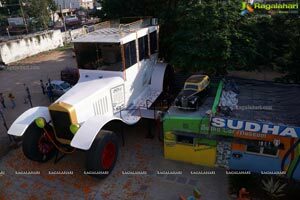 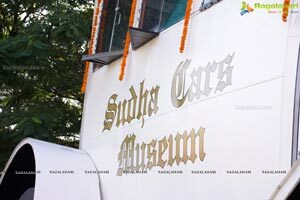 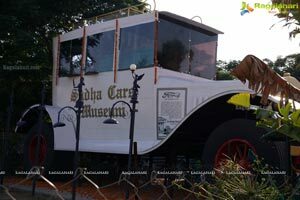 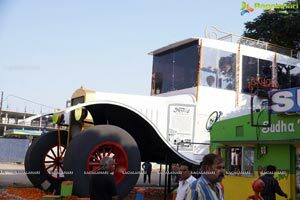 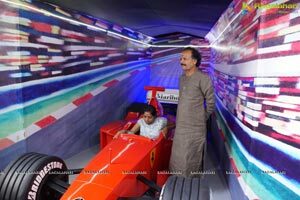 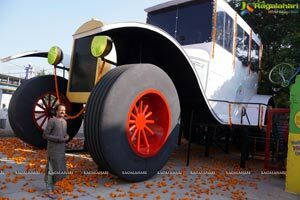 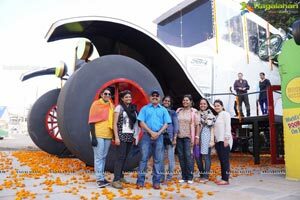 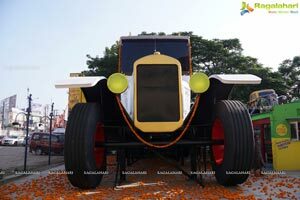 Having a monumental presence at the Sudhacars Museun The Mammoth Stationary Art Car Standing 26’ tall and 50’ long is ready for the Guinness attempt. 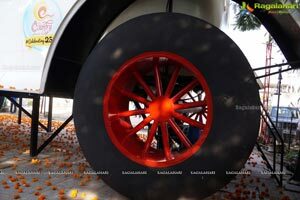 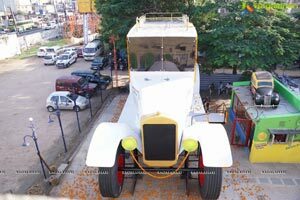 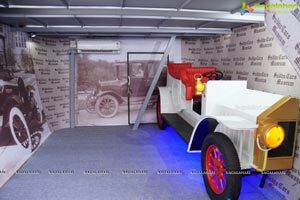 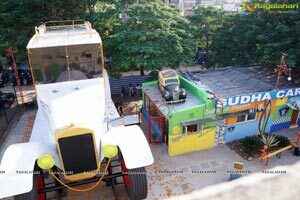 Mr. K. Sudhakar, a name synonymous with Crazy and Innovative Design of cars, who’s also featured in the Ripleys believe it or not, is ready with his latest creation of a GIANT ART CAR MODEL of the 1922 FORD TOURER after spending over three years to built it. 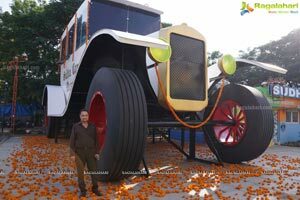 Specially designed and made for Children, this huge Art Car Model is made of Mild steel and Aluminum . 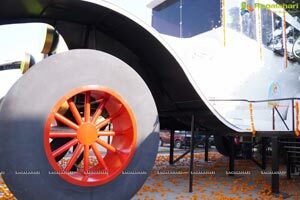 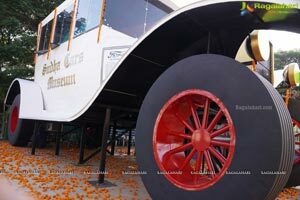 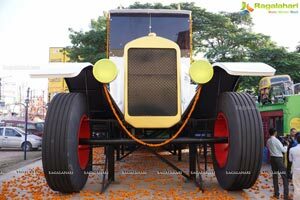 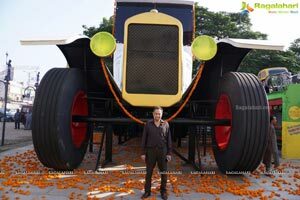 This Pearl White Car, with Handmade metal wheels of Diameter 9 feet, Stands 26’ tall, 50 feet long and 19 feet wide. 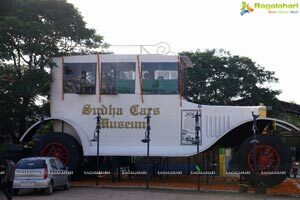 Fully Airconditioned, The car has two floors and a terrace with the carrier serving as a railing. 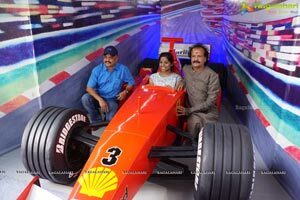 The bonnet houses the Formula 1 car with the backdrop of racing track, the ground floor interior wall has a 3 dimensional vintage car, and a European House. 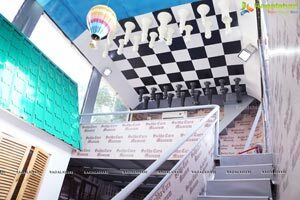 There is a giant chess board with chessmen hanging upside down from the roof and Mini hot Air balloons floating in the air and a staircase leading to the terrace.